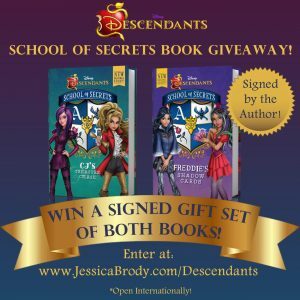 Jessica Brody | Descendants School of Secrets Book 3 Cover Revealed! Hey Disney Descendants fans! 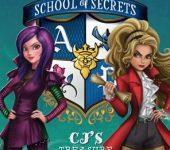 So I’ve just emerged from the writing cave after finishing off book 4 of the School of Secrets series (WOOT!) And I discovered that (OMG!) Book 3’s release is right around the corner (on 2/28/17!) I was also ecstatic to discover that Disney had just revealed the AMAZING cover!!! 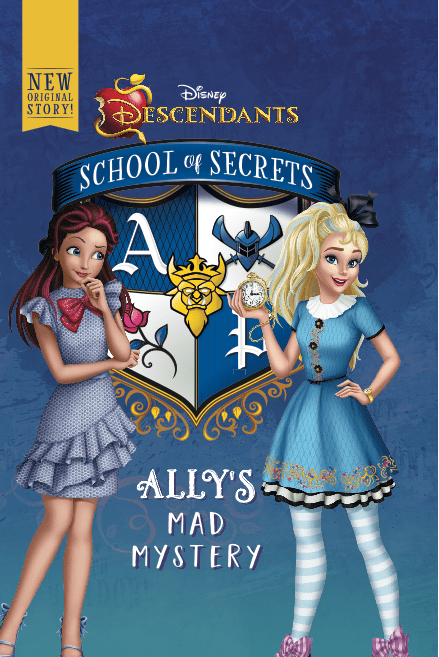 As you might know, the book is called ALLY’S MAD MYSTERY and it stars none other than Ally, the daughter of Alice in Wonderland! 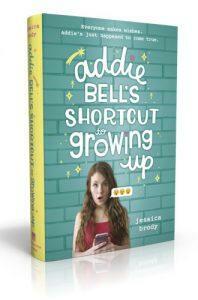 So I’m very excited to be sharing it with you all on my blog today! So without further ado, here’s Ally! 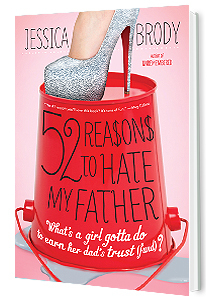 And why, yes, that is Jane on the cover next to her. “Why” you might ask. “Is Jane in the story, too?” Actually, she is! But you’ll have to read the book to find out what these two AKs are up to in this mad adventure! 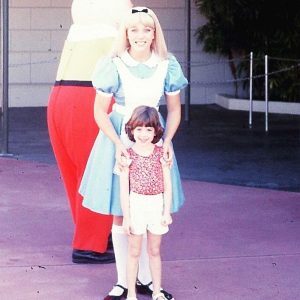 Alice in Wonderland is one of my favorite Disney movies so I had a TON of fun telling Ally’s story. I even wrote it while sipping tea of out my special Alice in Wonderland tea cup! (Pictured below). And in case you missed it in my YouTube video, here’s a picture of me (age 5!) 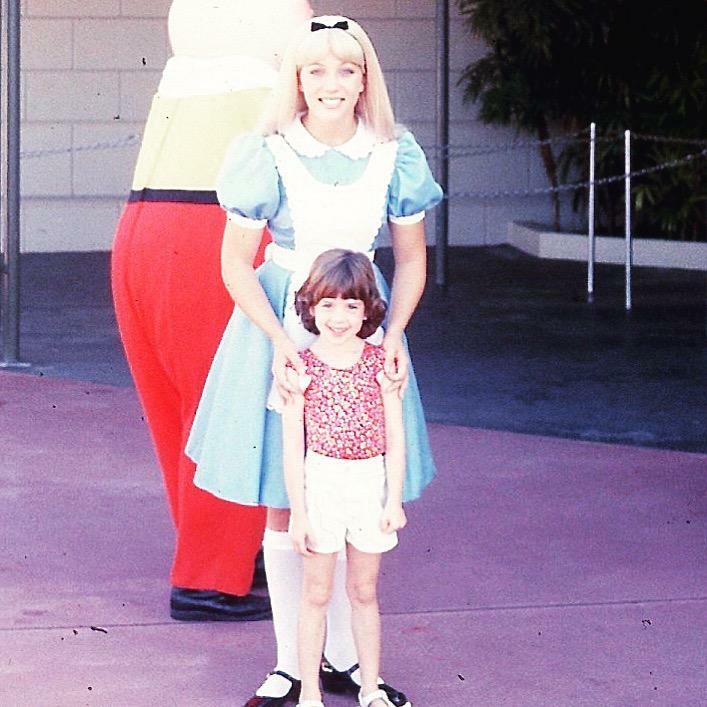 with Alice herself! 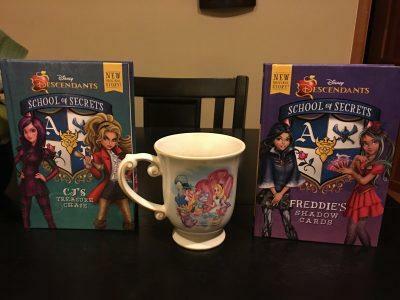 If you missed my other two books in the School of Secrets series, be sure to check them out on my Descendants page here. 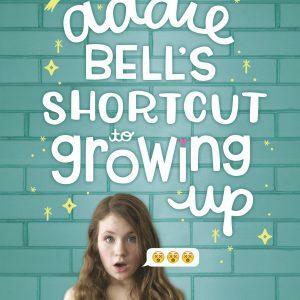 And don’t forget, my tween novel ADDIE BELL’S SHORTCUT TO GROWING UP releases in a MONTH! Click here to read all about it!